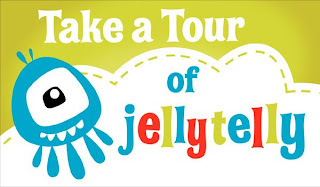 From the makers of Big Idea, Veggie Tales, 3,2,1 Penguins, and more fun Christian programming comes…… JELLY TELLY!! 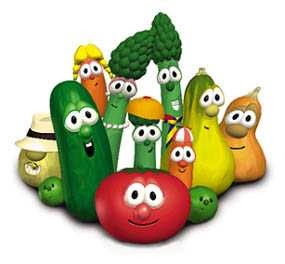 Since my introduction to Veggie Tales at Sunday School, (as a high-schooler,) I have loved these cute crudites! Bob and Larry made me laugh while reminding me about the simple things that God is constantly teaching us. Even though these animated story tellers were geared towards children it’s easy for anyone to catch on, and end up rolling on the floor laughing. I knew that when I had children I would want them to watch Veggie Tales too. So, I asked for the videos at each holiday and bought a few myself. Most of them are VHS but someday I’ll work towards a DVD set. Just this year we found out that Veggie Tales are now…”On TV!! !” It’s basically a new introduction and lead into the story but they’ve kept most of the same stories to teach Sunday Morning values. Jelly Telly is a fun website that features Christian media, including games and videos. It’s a great way to get more of the great message of the Bible to our youngsters. Co-Creator of Big Idea, Phil Vischer wants to “Bring the Bible to Life.” Not only are they providing great materials but they’re also inspiring and hiring upcoming new Christian children media designers. Which I think is pretty cool. check out some of the fun characters and creations. 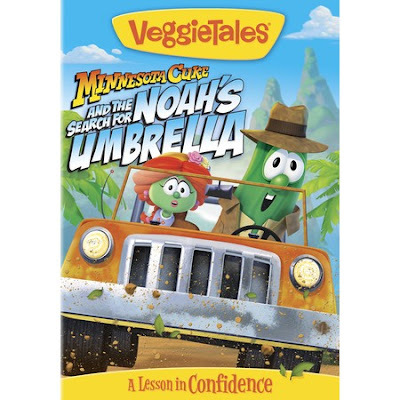 Also for those of you Veggie fans Minnesota Cuke and the Search for Noah’s Umbrella will be released in the U.S. and Canada on DVD on July 31st in Christian bookstores and August 1st in the general market.